WESTLAKE VILLAGE, Calif. – Apr. 3, 2014 – Defense Grid 2, the sequel to the 2008 tower defense critical hit, will be playable on Xbox One for the first time at PAX East in Boston later this month. The game will also be playable for PC players to experience at the show. Representatives from developer Hidden Path Entertainment will be on hand to demo a single-player map from the game at the 505 Games booth (#396), giving attendees a taste of the new standard in tower defense. Hidden Path CEO Jeff Pobst will join veteran game journalist Russ Pitts, Polygon, for a candid conversation on the merits and pitfalls of embedded journalism. The talk takes place Sunday, April 13th at 11AM in the Condor Theater. 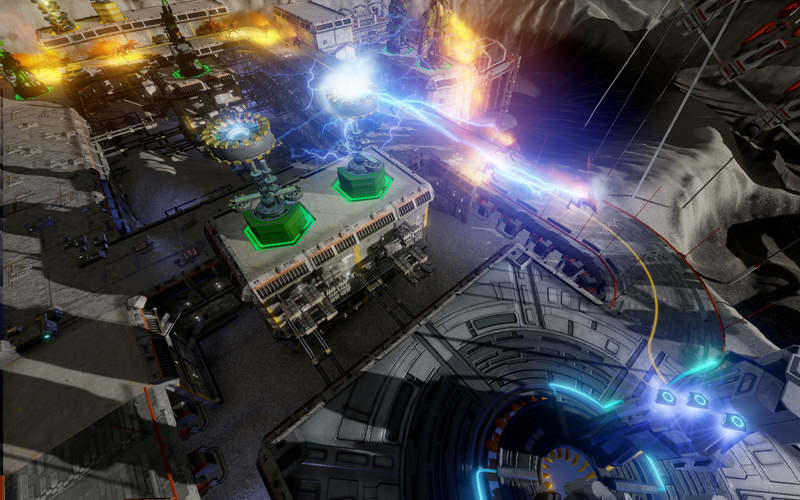 Defense Grid 2, DG2, is the highly-anticipated sequel to Hidden Path Entertainment’s 2008 Defense Grid: The Awakening. DG2 for the PC was funded by a private investor after a successful 2012 Kickstarter campaign funded the DLC, Defense Grid: Containment. DG2 will be developed by Hidden Path Entertainment. DG2 will uphold the standards set by its acclaimed predecessor. Along with single player mode, DG2 will expand with cooperative and competitive multiplayer modes. For more information please visit: http://www.hiddenpath.com/games/defense-grid-2/. Hidden Path Entertainment is an independent video game company established to develop and produce interactive entertainment software for current and future generations of PCs, video game consoles and other computing platforms. Hidden Path focuses on immersive, fun, and well-designed game experiences that allow players to express themselves creatively as well. The company is currently working on independently-funded and partner-funded projects with some of the most popular companies in gaming. For more information visit: http://www.hiddenpath.com/. 505 Games is a global video game publisher focused on offering a broad selection of titles for players of all ages and levels. The company publishes games on leading console and handheld platforms as well as for mobile devices and social networks. Product highlights include, Sniper Elite V2, PAYDAY 2, Brothers – A Tale of Two Sons, Terraria, How To Survive, Tiny Brains, and the upcoming Sniper Elite 3 and Defense Grid 2. 505 Games has offices in Los Angeles, Milton Keynes, UK, Lyon, Munich, Milan and Madrid and a network of distribution partners within the Nordic territories and Australia. For more information on 505 Games and its products please visit www.505games.com.